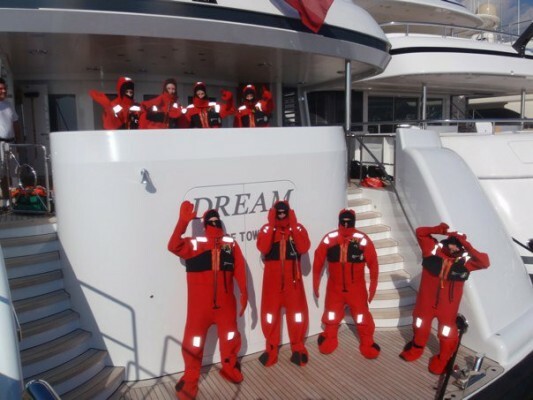 Superyacht Crew are professional, qualified and efficient workers, like any other industry requiring the highest safety standards training plays an integral part of ensuring crew are properly prepared for every scenario and know how to use the equipment they are responsible for. CMS Maritime are developing onboard training programs to ensure crew are mentally and physically prepared to meet the rigorous expectations of the industry. Considering most training centers work to their own schedule, their own facilities and their own program – quite often this may not suit or be convenient to busy yacht crew. This new concept in training brings the trainers onboard into real life situations that crew can easily identify with and at a time convenient to the yacht and those seeking further education. James Scott from CMS Maritime based in the United Kingdom is offering several onboard training solutions for Interior, Deck and Engineering crew, they shall discuss the requirements of each individual yacht then deploy the appropriate trainers to deliver the requested training in a familiar working environment. This style of education greatly improves the success rate and absorption of information by the student. Throughout May & June 2013 CMS Maritime shall be present around the South of France to meet with yachts interested in discussing their individual requirements.